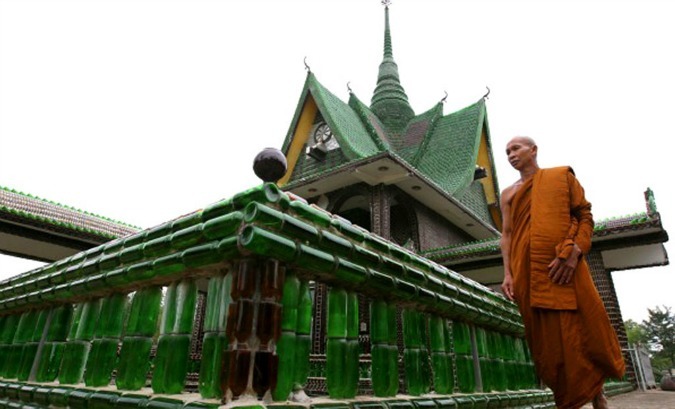 The Wat Pa Maha Chedio Kaew temple, in Thailand’s Sisaket province (roughly 370 miles northeast of Bangkok), is made of about 1.5 million recycled glass bottles. 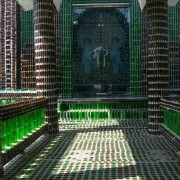 True to its nickname, “Wat Lan Kuad” or “Temple of Million Bottles” features glass bottles throughout – even the toilets. 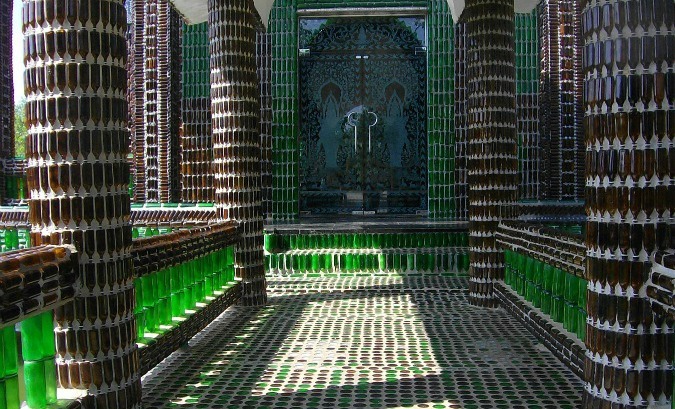 Bottle caps are also integrated as decorative mosaic murals.The bottle-collection-turned-building started in 1984, when the monks used them to decorate their shelters, which inspired people to donate more bottles. Aside from being sustainable, bottle bricks don’t fade, let natural light into the space and are surprisingly easy to maintain. (source).